National Service Scheme, under the Ministry of Youth Affairs & Sports Govt.  of India, popularly known as NSS was launched in Gandhiji’s Birth Centenary Year 1969. In CCET we are also having NSS wing in which students of all semester has register their name as student volunteers and they are involved in many activities in social welfare scheme. 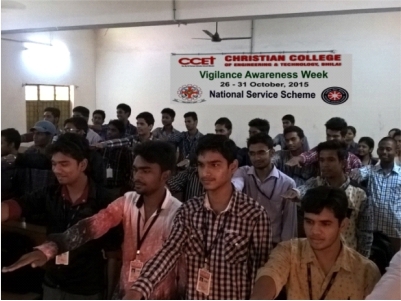 The pledge ceremony was organized by the NSS volunteers on 31 October 2015 to observe the “Vigilance Awareness Week”. 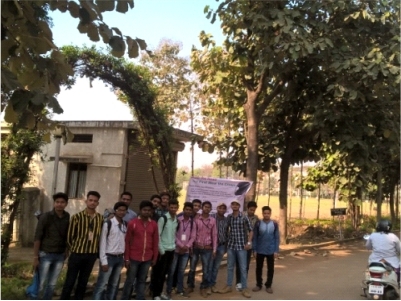 Students of CCET Bhilai took pledge for integrity and transparency in all aspects of life. Blood donation by the students as and when required. Till 31/11/2015 17 units of blood have been donated. An orientation programme for the NSS Volunteers was organized on 12/9/2015 (Saturday) at 12 noon, at Auditorium B-block. The programme was addressed by S. R. Thakur, NSS Coordinator, CSVTU, Bhilai. B Certificate level Exam was conducted for the students who have completed 2 years of NSS registration on 14/8/2015. For the occasion of Armed Force Flag Day – 2014 we have deposited an amount of 9875(Nine Thousand Eight Hundred Seventy Five Only) via Demand Draft (DD No. 107196 Dated 14/7/2015) at District Army Welfare Office. Tree Plantation was done on the occasion of 60th birthday of honorable Chairman. International Yoga Day was celebrated on 21/6/2015 for Yoga awareness at the college campus. 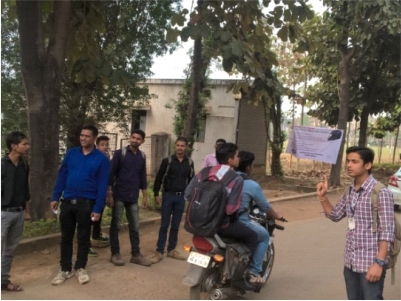 Road Safety and Helmet Awareness Programme was conducted during 14 – 20th March 2016 to spread the awareness about the Helmet among the students coming by two wheelers. Use of Helmet was made mandatory for the college staffs coming by two wheelers. Village “Nardha” was adopted by the NSS Unit of our college to implement different activities suggested by the state and central government such as “Swachchhata Abhiyan”, Tree Plantation, Health awareness, use of non-conventional energy, souchalaya nirman, computer literacy etc. Medical Camp was organized for the health check-up of our students, staff members and nearby civilians with the help of Chandulal Chandrakar Memorial Hospital on the occasion of “Girl Child Day” 21/1/2016. A 7 day special camp was organized for the NSS Volunteers at our adopted village “Nardha”, where programmes like health awareness were conducted with the doctors from Chandulal Memorial Hospital. Information regarding Draught suffering areas were given by agriculture experts. Students conducted cleanliness drive at different places of the village. They cleaned the monuments of different places and worship places.